SERVING THE LIFE SCIENCE INDUSTRIES! Read The Creation of Ashton Tweed to hear our full story! 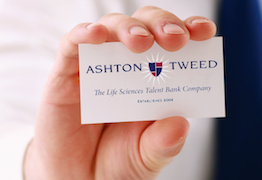 Ashton Tweed’s life science executive talent bank is a unique service matching members to companies through our retained executive search process. This ensures companies and candidates alike work with the best and brightest.